The Samburu community in Kenya faces many daily challenges, from famine to intertribal war to cattle raids. As a young man, Peter was expected to become a tribal guard or participate in raids on neighboring tribes. However, Peter was instead determined to go to school. Whenever he got a break from his tribal duties, he would attend a nearby primary school. Though he was only able to go to school for a few hours a week, Peter’s love of learning enabled him to earn high grades and attend a national secondary school. Since beginning secondary school, Peter’s determination has only increased. He is now a form 4 student at Kagumo Boys High School, where he earns excellent grades and loves participating in athletic competitions. He especially enjoys long races, and often wins these competitions. He will soon be graduating from high school, and is looking forward to furthering his education even more by attending university after. 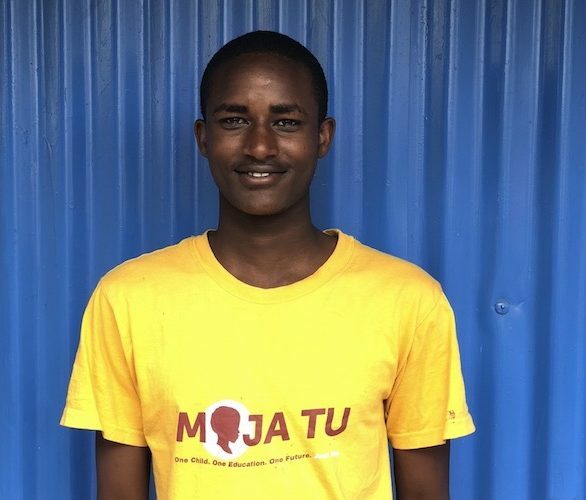 Peter hopes to educate his community about the importance of going to school, and he is working hard to set an example of success for the younger members of his tribe to emulate. Are you interested in providing Peter with the support he needs to achieve his dreams? Consider becoming his sponsor today!